By Jim Mustian, Ledger Inquirer: A Ladonia woman has agreed to plead guilty to a conspiracy to smuggle more than two dozen illegal immigrants to south Florida. 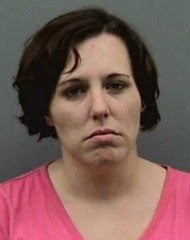 Kathleen Ann Roberson, 21, inked a plea agreement with federal prosecutors Friday that could subject her to up to 250 years in prison and a fine of more than $6 million, according to court records. Tags: Florida, smuggling, illegal aliens To share or post to your site, click on "Post Link". Please mention / link to America's Best Choice. Thanks! Posted by Bill Smith : Post Link --> 2:24 PM 0 Comments - Share Yours! Rep. Dennis Ross (FL-12) introduced H.R. 4377, legislation which will create jobs by streamlining the federal permitting process and providing a balanced approach that allows enough time for environmental review but also gives job creators enough certainty to put their capital on the line and create jobs. Rep. Bill Posey (FL-15) introduced H.R. 4401, legislation which allows for private sector investment in the Department of Defense for space transportation in an effort to modernize America’s defense capabilities, promote America’s commercial space industry and help America regain the loss of commercial launches. Tags: U.S. Congress, Bill, new bills, HR 4401, Bill Mosely, FL-15, Hr 4377, Dennis Ross, FL-12, Florida To share or post to your site, click on "Post Link". Please mention / link to America's Best Choice. Thanks!
. . . in Time for Fall College Semester. Is Marco Rubio selling out both conservatives and American legal citizens? Confused - so are we? By Elizabeth Llorente, Fox News Latino: - Marco Rubio says he wants his version of the DREAM Act in effect by fall, just in time for undocumented students to be able to attend college fall semester. Rubio, in two separate events in Washington D.C., said his plan is still being hammered out, and important details – such as the minimum and maximum age of those who would qualify – were yet to be determined. 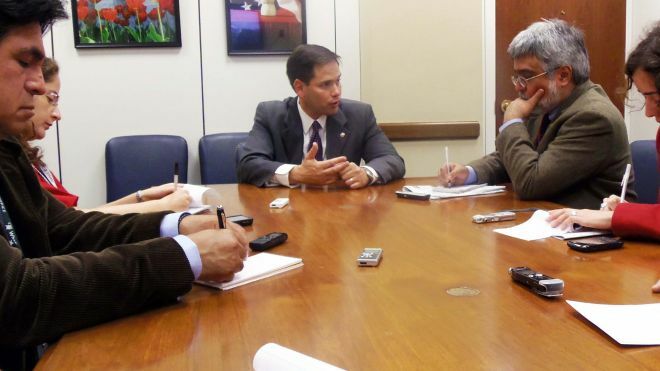 Asked by a reporter when it will be introduced in the Senate, Rubio said: “When it’s ready. It won’t be next week.” He said he hopes it gets introduced by summer and passed by fall. Indeed, several Democrats in Congress say they will not back a plan that does not offer a path to citizenship. Charles A. González, chairman of the Congressional Hispanic Caucus, said in a press statement: "If the Rubio Plan bars citizenship it would be the first time in modern history that someone has proposed a law that would permanently prohibit citizenship to one segment of American society." . . . The senator said that critics who dismiss his plan before it is even finalized are just interested in keeping the inability of undocumented youth to attend college "a political wedge issue," and are not really serious about finding a bipartisan solution. "The general concept is that [students] would receive the equivalent of a non-immigrant visa, it legitimizes you," he said of his alternate DREAM Act proposal. "It doesn't allow you to to become a resident or citizen, however it doesn't prohibit you from applying." . . . If they want to stay in the United States, they would have to apply like everyone else around the world, he said, and wait their turn, possibly back in their homeland. Rubio's plan also would not call on states to charge in-state tuition rates to undocumented students -- now many of them are charged out-of-state tuition, which can be twice as high -- nor would it give them access to financial aid. “We want to make sure we don’t do anything that rewards illegal immigration,” he said. . . .
During GOP primary debates, Romney flatly said that as president, he would veto the DREAM Act that has been proposed in Congress. But Rubio said Romney has indicated that he would be open to considering a conservative alternative such as the one the Florida senator is developing. Shortly after Rubio concluded his meeting with reporters, the Congressional Hispanic Caucus and undocumented students – or “DREAMers,” as they’re called -- announced the launch of a voting campaign called “Su Voz, Mi Voto,” or “Their Voice, My Vote.” . . . Tags: U.S. Senator, Marco Rubio, amnesty, students, illegal aliens, To share or post to your site, click on "Post Link". Please mention / link to America's Best Choice. Thanks! Posted by Bill Smith : Post Link --> 3:11 PM 2 Comments - Share Yours! By Allen West -The Sun Sentinel As a field artillery officer in the U.S. Army, I learned a thing or two about weaponry. Our success in Desert Storm and Desert Shield depended on choosing the correct artillery for each specific objective, whether it was halting the enemy’s forward progress, diminishing the strength of its forces, or completely destroying its capabilities. Although he has never served his country in uniform, or risked his life to defend its freedoms and liberties on distant shores, President Obama seems to understand a thing or two about weaponry as well. In the president’s case, the current weapon of choice is tax policy, and the “enemies” are small businesses, investors, entrepreneurs and corporations deemed “undesirable” — in short, the economic engines of our nation. The president’s planned tax increases seem designed to demonize “the rich,” and use them as a propaganda tool to score political points. But the collateral damage of these policies will spread into the heartland of America. After all, the 160 percent increase in federal cigarette taxes put in place in 2009 certainly affects those earning far less than $250,000 — despite his promise not to raise their taxes. The fact is, next year, unless changes are made in the tax code, Americans will be bombarded with the largest tax increase in the nation’s history, causing massive economic injury and destruction. If the Bush tax rates are allowed to expire, the current tax brackets of 10 percent to 35 percent will rise to 15 percent to 39.6 percent. Other tax provisions scheduled to disappear that will hit “ordinary Americans” include the American Opportunity Tax Credit (up to $2,500 per student for qualified college costs), tax exclusion for forgiven mortgage debt, and tax credit for employer-provided child care. Children of farmers and small business owners, who wish to continue the legacy of their parents, will find it increasingly difficult to do so, as the death tax exemption will shrink from $5 million to $1 million. Further, inherited assets exceeding that amount will be taxed at a maximum rate of 55 percent with a 5 percent surcharge on estates over $10 million. Posted by Bill Smith : Post Link --> 8:12 PM 0 Comments - Share Yours! By Ken Blackwell, Contributing Author: The oppressive monster known as the Environmental Protection Agency (EPA) is not just killing jobs these days – it is intentionally avoiding transparency that may shed light on the political motivations behind the agency’s actions. Started in 1970 by President Richard Nixon, the EPA was a small agency that combined several anti-pollution and clean water agencies into one agency with 4,084 employees and a $1 billion budget. Today, it has 17,000 employees and has evolved from its narrow focus into an unconstitutional, blunt instrument with vast powers that the Obama Administration wields to promote a radical political agenda that is destroying prosperity and ruining lives. In March, the U.S. Supreme Court decided unanimously in Sackett v. EPA against the agency. The Sacketts, a young married couple in Idaho, started building their dream home in 2005 but fell victim to an EPA compliance order that charged them with putting fill material onto a wetlands on their property. When the Sacketts tried to appeal the EPA’s decision, they were told that there was no appeals process unless the agency intended to file an enforcement action that would include significant civil and criminal penalties. While two lower courts ruled in favor of the EPA, the U.S. Supreme Court ruled unanimously for the Sacketts, declaring that decisions made under the jurisdiction of the Clean Water Act were subject to an appeal. While that battle was won, the EPA’s war on the free market and economic prosperity continues. Even though Congress did not pass legislation to limit carbon emissions or create a “cap and trade” scheme, the EPA has developed burdensome and often contradictory regulations specially designed to harm the same petroleum refining industry America must depend on for any semblance of energy independence. EPA’s politically motivated regulations aimed at the oil industry also hurt consumers. Just this week, the National Automobile Dealers Association released a study showing that EPA’s new fuel economy standards will make cars so much more expensive that some 7 million working families and college students will not be able to afford them. But perhaps most egregiously, EPA overreach was a major factor in why no decision on the Keystone XL pipeline will be made until after the 2012 elections. If approved, the Pipeline would create tens of thousands of jobs while providing Americans access to as much of 800,000 barrels of Canadian oil for U.S. markets. To find out what was going on behind the scenes in the Keystone XL decision, the Institute for Energy Research (IER) filed a Freedom of Information Act (FOIA) request to Obama’s State Department and EPA. The goal was to understand if politics and special interest group pressure entered into the decision to delay the pipeline. But while extreme environmental groups like Friends of the Earth, which opposes the pipeline, had no problem receiving similar information after its FOIA request, IER’s request has been delayed. After four months and multiple submissions, the Obama administration has refused to comply, violating FOIA standards. The decision to delay the Keystone Pipeline was clearly so politicized that the agencies involved are willing break the law to cover their tracks. This can hardly be the transparent government that the President promised us when he ran for president in 2008. EPA overreach, including that on the Keystone Pipeline, destroys the jobs that workers need to pay for the higher gas prices for which EPA is largely responsible. Everyone is in favor of cleaner air and a better environment, but EPA makes no attempt to strike a balance between economic opportunity and environmental gains. Through greenhouse gas rules, unrealistic fuel economy standards, and now its opposition to Keystone, EPA seems hellbent on making oil – the energy that powers our economy – a fuel of the past. Right now, that philosophy is hitting Americans right in the wallet. 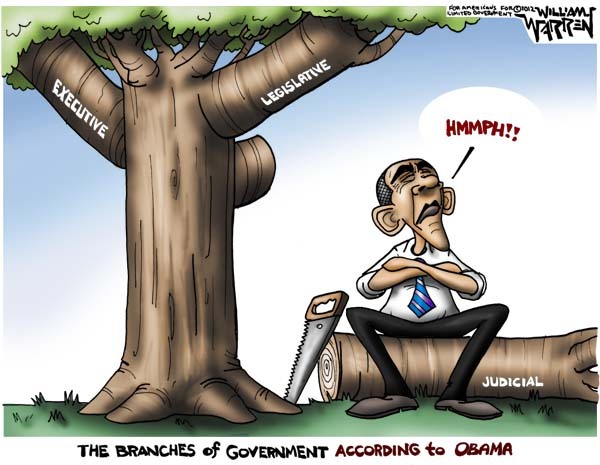 It is time to limit the tyrannical, unelected, and hyper-political bureaucracy. That starts with exposing the politics behind the EPA’s Keystone XL position. Tags: Ken Blackwell, Barack Obama, Secretive, Keystone XL Pipeline, Decision, EPA, Environmental Protection Agency, SCOTUS, Supreme Court, Sackett v. EPA, EPA’s war on the free market and economic prosperity, politics behind the EPA To share or post to your site, click on "Post Link". Please mention / link to America's Best Choice. Thanks! Posted by Bill Smith : Post Link --> 6:24 PM 0 Comments - Share Yours! Ten years later, oil and gas production on federal lands is at a nine-year low, a gallon of regular unleaded gasoline costs an average $3.90, and the president is busy blaming “speculators” for high oil prices – a scapegoat that even a former Democratic Commodity Futures Trading Commissioner rejects. Heritage’s David Kreutzer also debunked that argument. The president’s continued refusal to expand domestic energy production, which would be an economic boon and raise significant federal revenue without hiking taxes, recently made Heritage’s list of the administration’s ten worst energy policy decisions. Meanwhile, the excuses offered in opposition to an energy policy that values domestic fossil fuel production look thinner by the day. Tags: drilling for oil, ANWAR, Alaska, 10 years ago, democrats blocked drilling, To share or post to your site, click on "Post Link". Please mention / link to America's Best Choice. Thanks! ... because excuses don't pay the mortgage or the National Debt or even the cost of present Big Government over spending. Tags: President Barack Obama, excuse, mortgage, hope, hypocrisy, election, 2012, 2008, 4 years, broken promise, failed, RNC Ad To share or post to your site, click on "Post Link". Please mention / link to America's Best Choice. Thanks! The Buffett Rule Is A Gimmick! Update on Senate vote on the Buffett Rule - increased tax on millionaires . The vote required 60 votes for the motion to proceed. The final vote was 51 to 45. The vote followed party lines with Democrats voting for an Republicans voting against except for two votes, Maine's Republican Sen. Susan Collins voted with Democrats to allow the measure to proceed and Arkansas Democratic Sen. Mark Pryor voted to block it. Congress is scheduled to be back in session today. The House is scheduled to reconvene at 2 pm but there is no identified agenda currently posted. The Senate will definitely reconvene at 2 pm today and resume consideration of S. 2230, Sen. Sheldon Whitehouse’s (D-RI) Buffett Tax bill. At 4:30 pm today, the Senate will consider the nomination of Stephanie Dawn Thacker to be a judge for the Fourth Circuit Court of Appeals and will vote on his nomination an hour later. It will then procedure to vote on cloture on the Democrats motion to proceed to the Buffett Tax, S. 2230. 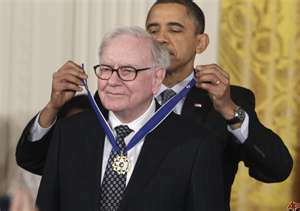 Yes indeed, the Senate will be voting this evening on whether to take up President Obama’s Buffett Tax proposal. Yet the more time the president spends pushing for this tax, the more people are acknowledging it will do next to nothing to address any of the key problems facing this country: it won’t create jobs, it won’t lower gas prices, and it is a drop in the sea of our national debt. Charles Krauthammer nails down the point for us "Let's do the math. The Joint Committee on Taxation estimates this new ['Buffett Rule'] tax would yield between $4 billion and $5 billion a year. If we collect the Buffett tax for the next 250 years -- a span longer than the life of this republic -- it would not cover the Obama deficit for 2011 alone. As an approach to our mountain of debt, the Buffett Rule is a farce." In summary: All Sides Are Blasting Buffett Tax! 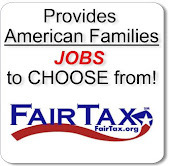 And, The Buffett Tax "Won’t Create Jobs." Nonpartisan reviewers are Crushing The Buffett Tax as "A Hoax On Voters," a "Total Sham," "a Farce," "Desperate.’ Even democrats admit It’s "Not Going To Help." 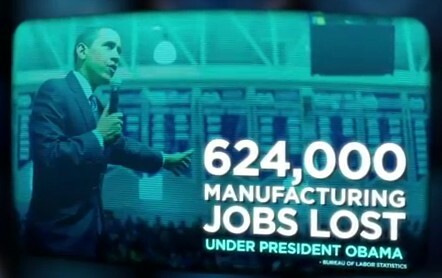 The question now is will all the Democrats now support this sham advanced by President Obama. Tags: Washington, D.C., U.S. Senate, media, news, Buffett Rule, gimmick, ARRA News Service To share or post to your site, click on "Post Link". Please mention / link to America's Best Choice. Thanks! Bill Smith, Editor: Noting the The Washington Post, April 9 the editorial "Sensible improvements on immigration" does not mean that I agree with it. First, it appears to be trying to move people, specifically conservatives, into accepting a "back-door" amnesty program. The Post obviously was not concerned about unemployed Americans. Example, they overlooked one very big critical factoid: 8 million illegals taking legal American citizens jobs. Where was their acknowledgement that 8 million illegal aliens are still in our workforce when 20 million Americans are unable to find full-time employment? Well that was not part of their agenda. And why didn't the Post demand to know why the House GOP leadership is not bringing the Legal Workforce Act (H.R. 2885) to the floor for a vote? H.R. 2885, The Legal Workforce Act, has 74 sponsors and the bill is being held up in the House Ways and Means Committee by its Chairman, Republican Rep. Dave Camp (MI-4th Dist). It has already been through the Full Judiciary Committee six months ago. H.R. 2885 bill is to amend the Immigration and Nationality Act to make mandatory and permanent requirements relating to use of an electronic employment eligibility verification system (EVerify), and for other purposes. Congress returns to work on Monday, April 16. Readers may wish to contact the Chairman Rep. Dave Camp and encourage him to get this bill out of committee. This bill should have been a "slam dunk" bill. Illegals are taking away jobs that should only be available to legal citizens (20 million of them are jobless). Read more on the bill at Open Congress. I sent Chairman Camp a few tweets but have yet received a reply. @WaysandMeansGOP @RepDaveCamp Please hold hearing & vote on HR 2885. 7 M #illegals in non-ag jobs. 20 M Americans need job. Do the math! 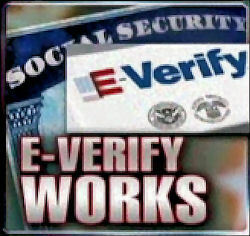 Tags: unemployed Americans, no jobs, illegal aliens in the work force, HR 2885, e-verify To share or post to your site, click on "Post Link". Please mention / link to America's Best Choice. Thanks! Posted by Bill Smith : Post Link --> 9:11 AM 0 Comments - Share Yours! by Allen West Republic: Palm Beach County, FL – Today Congressman Allen West released the following statement in response to President Obama’s visit to South Florida: ”Four years ago our President’s campaign of hope and change inspired and united millions Americans. Listening to President Obama’s speech at Florida Atlantic University today, it is clear that ‘hope and change’ has been replaced with ‘divide and rule’. President Obama’s only hope for re-election seems to be that Americans will overlook his failed economic policies if he can successfully divide people along the lines of income and wealth. But the unfortunate reality is, even if the electoral fortunes of President Obama and Democrat congressional candidates improve by demonizing people and turning the American people against each other, cynical and divisive political strategy does nothing to create jobs for the 14 million unemployed Americans, it does nothing to alleviate soaring gas prices that pinch family budgets and prevent small businesses from hiring, and it does nothing to increase opportunity for all Americans, regardless of skin color, gender, age or income. I will continue to present a different vision for America. 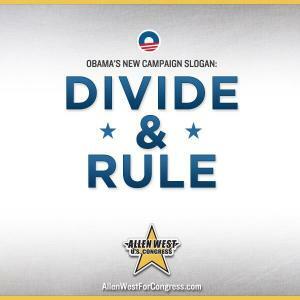 Tags: Representative, Allen West, Florida, Barack Obama, Divide and Rule To share or post to your site, click on "Post Link". Please mention / link to America's Best Choice. Thanks! Posted by Bill Smith : Post Link --> 4:49 PM 0 Comments - Share Yours! Tomorrow, April 13th, is the deadline for Florida Governor Rick Scott to either sign into law or veto Florida House Bill 7117, the “Florida’s Energy Bill.” Tow organizations, Americans for Prosperity and the Heartland Institute, are opposing the bill and support the Governor vetoing the bill. The SunShine State News last week identified that the Florida chapter of Americans for Prosperity criticized House Bill 7117. “This misguided political ideology of picking winners and losers in the marketplace will undoubtedly continue its pattern of wasting taxpayer money by bankrolling politically-favored energy companies. It leads to crony capitalism and crony politics. "We certainly don’t need a Solyndra-type boondoggle here in Florida. Subsidizing renewable-energy production will not only distort the marketplace but will actually drive the cost of energy up and undermine Florida’s rebounding economy." APF-FL president Slade O'Brien said his group's activists -- "from 110 politically active, independent, free-market and grassroots organizations" -- sent more than 5,200 emails in opposition to HB 7117 and its companion, SB 2094, during the 2012 legislative session. "Unfortunately, the majority of the legislators simply failed to listen to their own constituents and ignored the numerous examples of government subsidies failing to create a market for uncompetitive renewable technologies," O'Brien said. The Tea Party Network, a coalition of 86 tea and patriot groups around Florida, earlier urged Scott to veto the measure. "But Agriculture Commissioner Adam Putnam, a Republican who runs the state energy office and pushed for the bill as his top legislative priority, vigorously disagrees. "I can’t imagine how we put Florida on a path towards a thoughtful, long-term energy policy if we can’t even get this modest attempt across the finish line," Putnam said in an interview. "He said references to President Obama’s fizzled stimulus grant to Solyndra are inaccurate because the bill would provide tax credits to alternative energy companies only after providing renewable energy upgrades and green hires. . . .
"The House sponsor, Rep. Scott Plakon, R-Longwood, in fact, last year was named American's For Prosperity's Legislator of the Year. "We differ so strongly on this issue,’’ he said. "I just find it quite odd." "He considers the anti-Obama rhetoric and the comparison of tax credits to subsidies inaccurate and not helpful. "I think that kind of stuff is beneath what AFP should be standing for," Plakon said." . . .
"As of Thursday, calls and emails to Scott's office in opposition of HB 7117 outranked those in favor by 2,510 - 1." Tonight Governor Rick Scott's may have a sleepless night as he seeks to do what he believes is best for Florida while being caught on this issue between conservative supporters and conservative opponents. Tags: Florida, Governor Rick Scott, HB 7117, Florida’s Energy Bill, conservatives, supporters, opponents, AFP-Florida, To share or post to your site, click on "Post Link". Please mention / link to America's Best Choice. Thanks! Posted by Bill Smith : Post Link --> 1:06 PM 0 Comments - Share Yours! 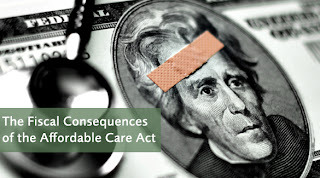 Charles Blahous, Mercatus Center: The Patient Protection and Affordable Care Act (ACA) signed into law by President Obama in 2010 will significantly worsen the federal government’s fiscal position relative to previous law. Supporters argued that this comprehensive health care reform would deliver a much-needed correction to the government’s unsustainable fiscal outlook and would benefit the country’s overall fiscal situation. However, between now and 2021, the ACA is expected to add as much as $530 billion to federal deficits while increasing spending by more than $1.15 trillion. Despite the fondest hopes from its supporters, the passage of the ACA unambiguously darkens a dim fiscal picture. The federal government promised the health care law would finance two different activities-increasing Medicare solvency and extending health care coverage, but with only enough savings to pay for one. Thus, the ACA’s total new spending well exceeds its cost-savings provisions. In 2014, the benefits will kick in and as history shows, it is nearly impossible to take benefits away after they are given. To ensure the ACA does not worsen the federal fiscal outlook, fully two-thirds of the ACA’s new health-exchange subsidies must be repealed, or financing offsets must be found before 2014. Again, the bill promised to find savings in the government's biggest health insurance program, Medicare, and use those savings to reduce the deficit. Second, the bill promised to expand health care coverage to uninsured Americans. Sounds pretty good, right? But how does the government propose to pay for both? Here's where the math becomes fuzzy. View the following video then look at the full research paper, brief summary, and chart that illustrate our research on the fiscal consequences and outlook of the health care law. Dr. Charles Blahous is a senior research fellow at the Mercatus Center and public trustee for Medicare and Social Security. His primary research interests include retirement security, with an emphasis on Social Security and employer-provided defined benefit pensions, as well as federal fiscal policy, entitlements, demographic change, economic stimulus, financial market regulation, and health care reform. Tags: Charles Blahous, Mercatus Center, trustee, Medicare and Social Security, Fiscal Consequences, Affordable Care Act, ACA, Health Care, Health, Uninsured, Insurance, Medical, Medicare, Deficit Spending To share or post to your site, click on "Post Link". Please mention / link to America's Best Choice. Thanks! Posted by Bill Smith : Post Link --> 2:05 PM 0 Comments - Share Yours! RNC: In 2008, speaking in Jacksonville, Florida, Candidate Obama criticized the type of politics "that asks us to fear at a time when we need to hope." Four years later, we know it was all an act, and since President Obama has no record to run on, he's resorted to using the same negative scare tactics he once claimed to be against. Tags: Obama, 2008 Election, President, Barack Obama, hope, change, an act, scare tactics, flip, flop, Jacksonville, Palm Beach, Florida, 2012 elction, RNC, ad To share or post to your site, click on "Post Link". Please mention / link to America's Best Choice. Thanks! Posted by Bill Smith : Post Link --> 5:00 PM 0 Comments - Share Yours! Tags: Bill Nelson, Senator Bill Nelson, Florida, US Senate, 2012 election, Bill Nelson Commercials, Connie Mack, George Lemieux To share or post to your site, click on "Post Link". Please mention / link to America's Best Choice. Thanks! H/T F.William Houraney, The Bottom Line Guy: How many of us yearn for the days when men were men? OK maybe not all of us, but 98.9% will do. . .
Well we can still watch Clarke Gable and John Wayne movies or we can just watch clips of Colonel Alan West. Yea I know, he's a Congressman now and should be addressed so but Alan West deserves the respect that comes with his military rank, a respect earned by 20 years of military service and pledging his life for his country. A respect that few Congressman have earned or even come close to. Second question; How many of us are sick and tired of hearing about homosexuals? OK again 98.9%. What a coincidence; it looks like the 1.1% who answered 'no' to the 2 questions here is the same percentage of – you guessed it! The BDM, (Brain Dead Media) has pushed the homosexual's agenda ad infinitum now for decades and frankly it gets me sick. No one wants to hear about the desires and demands of a group of selfish perverts. But day after day, the BDM brings it into our living rooms along with the big lie about racism which died long ago in our country. Now we bring in Colonel Alan West. When it comes to a brilliant and informed orator, this man is in a special class. His knowledge combined with his speaking eloquence, his patriotism and his traditional values and common sense, makes him a much needed 'light at the end of the tunnel' in American leadership. Here's a great example of how West handles the BDM and insures that America and Americans best interests are always the priority and never will take a back seat to minutia and special interests that the BDM wants to elevate and promote. 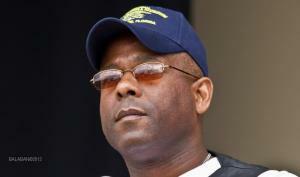 Tags: Allan West, Florida, CNN video, To share or post to your site, click on "Post Link". Please mention / link to America's Best Choice. Thanks! Posted by Bill Smith : Post Link --> 8:07 PM 0 Comments - Share Yours! 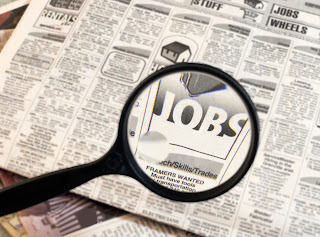 Tags: BLS, Bureau of Labor Statistics, job numbers, jobs, unemployed, underemployed, Obama administration, negative policies To share or post to your site, click on "Post Link". Please mention / link to America's Best Choice. Thanks! 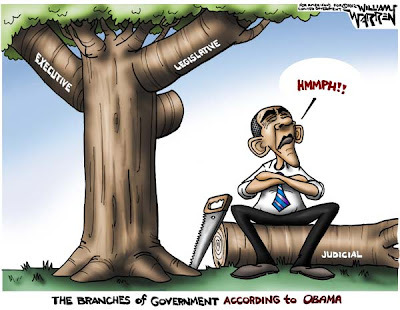 Tags: Branches of government, Barack Obama, political cartoon, William Warren, To share or post to your site, click on "Post Link". Please mention / link to America's Best Choice. Thanks! Posted by Bill Smith : Post Link --> 11:28 AM 0 Comments - Share Yours! ALIPAC1: Illegal Immigrant voters along with immigrants that are prohibited from voting have been detected voting in Florida. This joins confirmed reports of sizable numbers of non citizens voting in Georgia and Colorado! Each illegal alien or non citizen immigrant that registers to vote is committing a felony. Each illegal alien or non citizen immigrant that votes and thus steals a vote from an American citizen is committing another felony. The problem is that the states do not check to see if voters are in the US as immigrants or legally and the illegal immigration amnesty supporters know this. Our elections are virtually defenseless at this time and illegal aliens stole elections west of the Mississippi for corrupt politicians like US Senator Harry Reid just like William Gheen of ALIPAC predicted on election day 2010 on Fox News. Please send copies of this videos to your Federal and State lawmakers and candidates for public office. Tags: video, Florida, election fraud, NBC, NBC-2, investigation, illegal aliens, illegal immigrants, illegal immigration, ALIPAC, caught, voting, voter registration, crimes, elections stolen, Democrats, felony, felonies To share or post to your site, click on "Post Link". Please mention / link to America's Best Choice. Thanks! Posted by Bill Smith : Post Link --> 10:39 PM 0 Comments - Share Yours! From the ARRA News Service - Enjoy this parody by Duane Lester: Coming this fall (Nov 2012) to the USA ... hopefully!!! Tags: Burn POTUS, POTUS, Barack Obama, 2012 elections, parody, Video, Duane Lester, ARRA News Service To share or post to your site, click on "Post Link". Please mention / link to America's Best Choice. Thanks! Posted by Bill Smith : Post Link --> 11:01 AM 0 Comments - Share Yours!